Click on the Market Report Tab above to listen to our latest radio market reports! Duties and Responsibilities are based on experience. We are looking for energetic people who are eager to work with cattle, sheep & goats, get along with others, willing to learn new things, take instructions and carry them out. You must be able to work in all weather conditions. There is full and part time work available. Turn right on Stone Road go to the second left which is 52nd Lane and follow the signs! Large volume attracts more buying power. The greatest concentration of sheep and goat buyers from all around the United States where competition establishes the goat, lamb, Mexico export sheep market, and domestic Ethnic market. Take advantage of Producers marketing services to assure yourself of getting full market value for your sheep and goats. Our sheep and goat order buying division of Concho Livestock Company is buying livestock daily. For your private treaty sales or purchases call Benny Cox or David Quam at (325) 653-3371. Producers Livestock Auction Company has been owned and operated by the Cargile family since 1954. 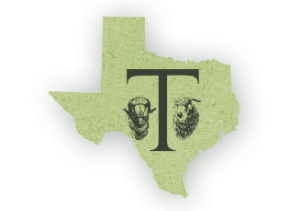 Producers serves the stockmen of West Texas with a sheep and goat sale every Tuesday and a cattle sale every Thursday. Our number one goal is to provide a market for true price discovery to determine the actual value of your livestock. Strong Financial Background--over 65 years under Cargile family ownership. Open 7 days a week - 24 hours a day -we're always here to receive and load livestock. We keep your livestock separate from others so that we can properly feed them in advance of the sale for the optimum fill and minimize shrink, even adding weight back to livestock that has been hauled long distances to the sale. Professional sorting of livestock, so we can sell them in uniform groups. Excellent feed & water and facilities, along with a full time feed crew. Regular sales, Special sales, & Private treaty sales, all available for customers convenience. Our employees work for us everyday and not just on sale days. Many of them have been with us for many years, giving a high level of expertise when it comes to handling your livestock. We encourage you to call us for your marketing needs whether they are through the sale or private treaty. We do it all. Join Our Newsletter below to receive News and Market Reports in your Inbox!! We just wanted to remind everyone that our market vet will only be at Producers until 10:00 a.m. on Thursdays days. We encourage anyone needing cattle processed to please get them here as early as possible to ensure they get processed. 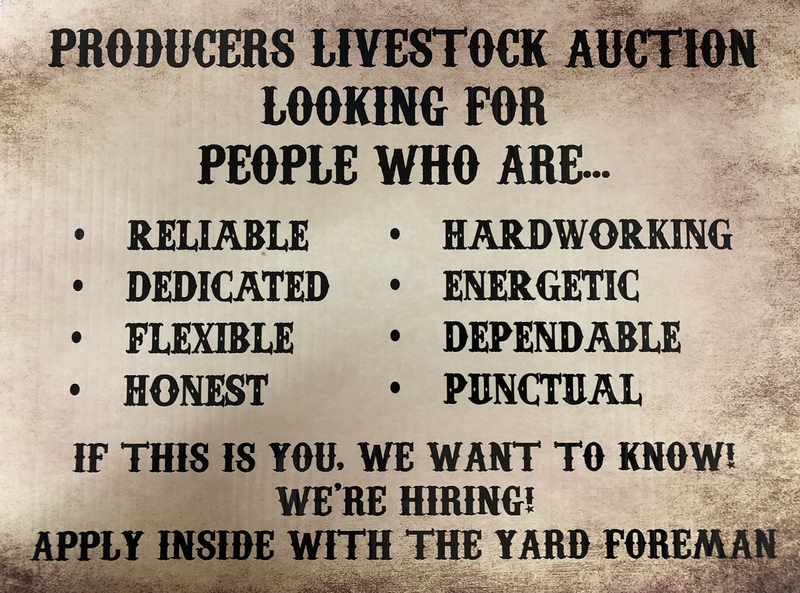 Copyright © 2016 | Producers Livestock Auction Company | All Rights Reserved.